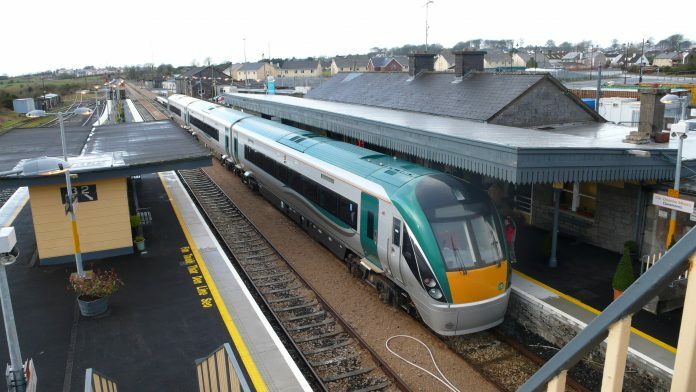 Iarnród Éireann has announced that the Limerick to Galway rail line’s status as the fastest growing route on the network looks set to continue in 2019, as over 91,000 journeys were recorded on the line in the year to 24th March. This compares with 74,000 journeys for the same period last year. Allowing for seasonal factors, and the impact of flooding in Ballycar in early 2018, the company predicted that journeys on the line will reach 420,000 this year as a result. This will continue the significant growth recorded in recent years. As recently as 2014, full year journeys on the route totalled just over 225,000. The growth is being experienced across the route, with city to city journeys surging, with a particularly strong student demand. In addition, Athenry to Galway commuter services – incorporating Oranmore Station – and Limerick to Ennis have strong patronage.